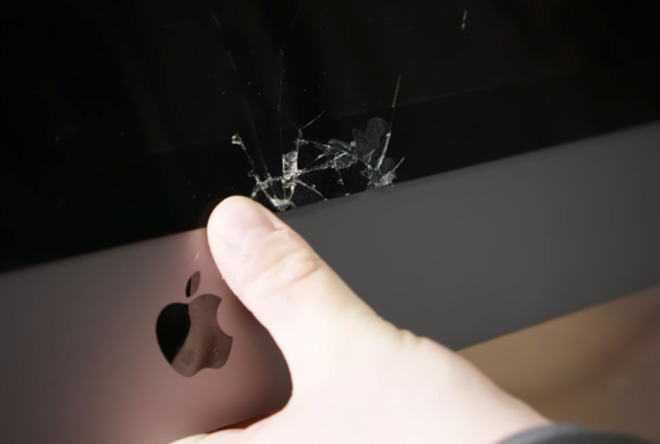 A YouTube video is generating over a million views and myriad social media complaints about Apple "refusing" to fix an iMac Pro destroyed after taken apart for a video —but the creators are short on specifics, and profoundly lacking an understanding of how the system works. Taken from Linus Tech Tips video "Apple refused to fix our iMac Pro"
The video starts by showing one employee of the YouTube channel appearing to mount the display while the iMac Pro is vertical, instead of being laid down flat, dropping the screen onto a screwdriver handle. It is claimed by the venue that Apple's support was contacted on January 30, with the Apple representative identified as Andrea offering to help, but advising up-front "typically if a Mac is taken apart by someone other than an authorized technician, we can typically no longer service the Mac." 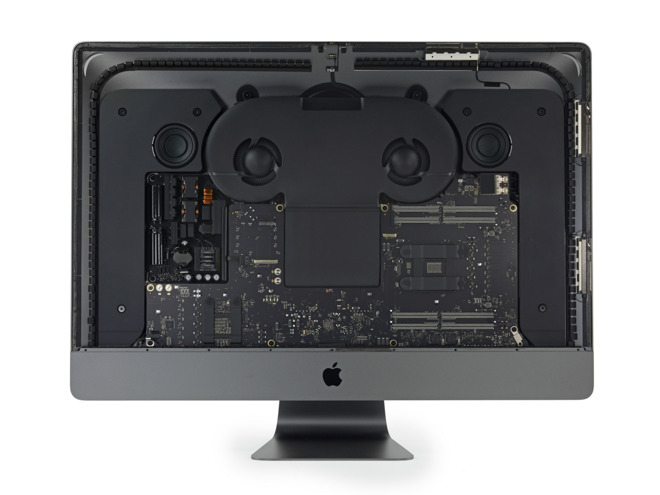 At around the same time, the damaged iMac Pro was dropped off for repairs at "the local Apple store," the store staff apparently said they would order the parts and get everything running "in a jiffy." A few days later, the Apple Store sent an email to LTT, noting the repair was declined. A conversation with Jesse, another Apple support staff member mentions "If they are unable to obtain the parts, they wouldn't be able to repair the iMac." The Apple Store later confirmed they couldn't fix it because "HQ wouldn't send the parts they ordered" according to the video presenter, and the only option was to collect it from the store untouched. They were advised the only option was to try a third-party Apple Authorized Service Provider. An update from the repair center advised they could order parts, but to approve the sale, they needed someone with Apple Pro certification, "and unfortunately, that doesn't exist yet." Furthermore, if they somehow got someone with the certification and were able to order the parts required, the third-party repair center could not risk losing their new certification by simply handing the parts over. Yeah, the YouTubers had an "accident" as they said. But, it appears that they were more interested in generating revenue and having a laugh, rather than portraying any part of the repair process accurately. Apple reserves the right to refuse service on gear that has been modified by the user, or if there are signs of tampering with the equipment. This is an accountability issue, and sometimes a safety matter for the repair crew. Speaking with Apple service staff, though, they reserve this clause for only the worst cases of obvious damage done to a machine by the user when attempting to do something. In this case, Linus Tech Tips destroyed their monitor, and possibly the motherboard as well, necessitating a repair of the two costliest hardware components of the machine. The Apple store likely punted based on Linus Tech Tips bringing in what was essentially a box of parts, plus the clear damage caused by the disassembly and failure of reassembly. This probably should have ended the process right here, but, it didn't. AppleInsider has contacted Apple for comment, and we haven't had an official statement regarding policies and the contentions made by the video yet — but there are plenty of people who wanted to talk to us about it. At one point in the video, after Apple itself suggested that the venue talk to a third-party shop, the group was told that training for the repair for the iMac Pro wasn't available. This is false, and likely used by the shop to dodge the repair. 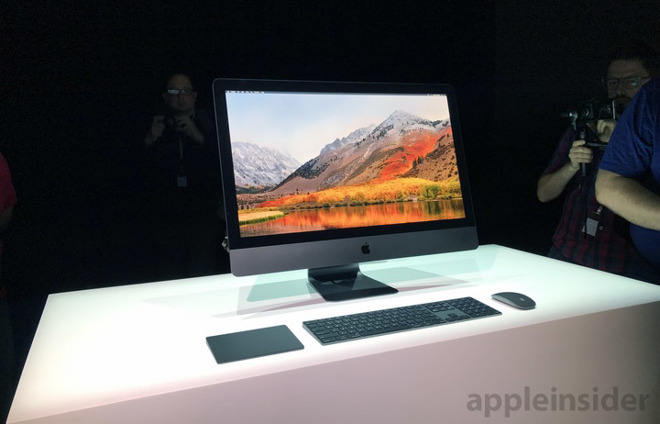 Training materials have been available since before the iMac Pro launched, with some components able to be ordered in January, with the rest ready in early March. When Apple execs teased new professional level hardware, they said that previous Mac Pro purchases were in the "low single digits" by percentage of Mac units sold —and AppleInsider has since learned that that percentage of the buyers has applied back to the genesis of the Intel tower line. There is no reason to believe that a machine starting at $4999 has any better adoption than the Mac Pro tower ever had. This also means that proportionately, a lower spare part reserve is kept in reserve for the Pro-level gear. Additionally, for authorized service centers, few if any parts are kept in stock. The remainder are ordered after the diagnostic process is complete, and shipped FedEx to the repair shop. The shop performs the repair, and must return the "core" failed part to Apple for examination, refurbishment and return to service stock, or both. In the case of a warranty repair, Apple picks up the tab for the difference between the core price and the non-return price. Otherwise, the shop pays the bill, which is then passed to the customer. Core prices are often up to 75 percent the cost of the whole part, ordered new. So, part accountability is important, and apple has put prohibitions in place to prevent shops from selling directly to customers as a result of abuse in years gone by. Shops selling parts to users is grounds for a loss in Apple authorized status — which can be financially deadly. It's great that the channel with over a million subscribers is offering to pay for the repairs — because claiming any kind of manufacturer defect for the repair on it would be straight fraud. But, complaining that Apple wouldn't pave the way for the repair even at the channel's cost makes no sense, and demonstrates a clear lack of knowledge about not just Apple's repair terms and conditions, but how the service system works. Given that a power supply didn't fix the issue, if just the screen and motherboard were shot, not including the processor, AppleInsider has been told that without labor, and with a core part exchange this is a $5200 repair out of warranty on the $4999 base model. There are about three hours of labor involved assuming absolute precision and the fastest technician ever, and at the conservative price of repair labor at $100 per hour for third parties, this turns into a $5500 repair, assuming the shop doesn't mark up any parts, and that there are no other parts or interconnects required beyond the bare minimum. This is in no way a cost-effective repair — which the video creators were likely fully aware of before they made their video about the process.